In March 2015 an article from the book "No More Tears in her Eyes" by Brother Anselm Conway was uploaded to this site. 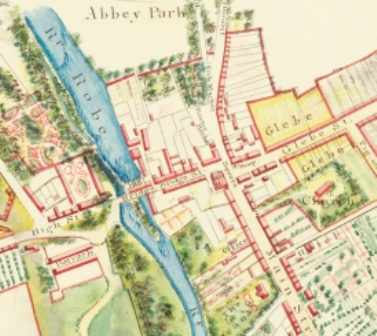 He visited Kathleen at the sanatorium here in Ballinrobe many times. 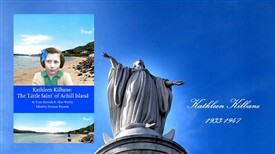 A new and interesting book about her life has recently been published and the author is seeking further information about Kathleen's RIP life. Can you help him? Allan says "Kathleen Kilbane was a Scots/Irish girl who passed away in Creagh Sanatorium, Ballinrobe in 1947. The last fifteen months of her life were recorded by a visiting Christian Brother Anselm Conway and published in 2003 as ‘No More Tears in My Eyes’. 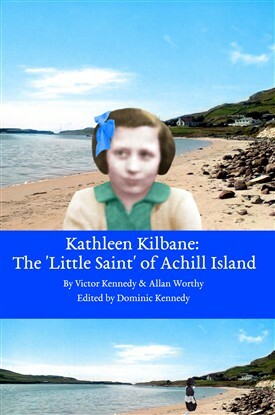 A new cradle to grave biography has been published in 2017 called ‘Kathleen Kilbane: The ‘Little Saint’ of Achill Island’ and is available from Amazon. This page was added by Averil Staunton on 18/06/2018.